If you’ve just discovered that you need mold removal services, you are probably wondering how the remediation process will proceed. 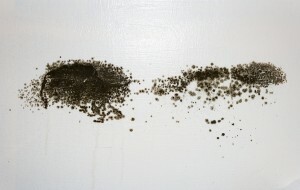 Your situation is a common one: Home and business owners in Atlanta, Georgia, frequently must hire mold specialists when they notice telltale signs of mold, such as black spots or a musty smell. While you are understandably alarmed, it’s important to hire a mold removal company that will clearly answer your questions, propose an effective solution, and then stand behind their work with a certification letter guarantee. What this guarantee means is that, after the company has removed mold from a space in your home or business in Atlanta, GA, that people occupy, they will have a third-party specialist come test the air, and they guarantee that the results will show that their mold removal work has made the environment safe for inhabitants. That way, people can re-enter the space with confidence knowing that the air is safe to breathe. If you want to hire an Atlanta, GA, mold removal company that fully stands behind their work, choose Abatement Solutions, Inc. Backed by extensive expertise, the Abatement Solutions team uses industry-recognized methods to eliminate mold and prevent it from returning. In fact, we also back our mold prevention services with a 10-year warranty which states that, in the unlikely event that mold does reappear on the surfaces we treat, we will return to eliminate the mold free of charge. Contact Abatement Solutions today.